The Department of Pathology and Laboratory Medicine is excited to welcome Dr. David Beebe as a new faculty member in our department. 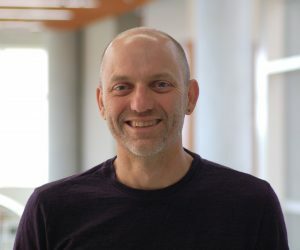 Dave has been a faculty member in the UW College of Engineering, Department of Biomedical Engineering since 2000 and leads a highly successful research program focused on the modeling of biologic and disease processes in innovative devices and chip-based testing platforms. He chose to transfer his primary appointment to our department because most of his research projects are highly relevant to the exploration of disease and the testing of human samples. He will retain a minor appointment in Biomedical Engineering. Dave and his laboratory are highly collaborative, so don’t hesitate to stop by and say hello. Dave’s lab and office will remain in UWCCC space on the 6th floor of WIMR 1. Next post: Three Pathology Faculty Are 2018 Ride Scholars!